Today is fathers’ day. Before anything else, let me greet all fathers out there a Happy Fathers’ Day. I know your children are honored to have you as their father and wouldn’t trade you for anyone else. May you continue to be the best father that you ought to be to your children. Like I said, today is fathers’ day. It used to be a fun occasion for me, except for two years now, it has become a bittersweet day for two reasons. 1) My Dad already passed away and 2) my son doesn’t have one. So, today, my son and I will both be fatherless. I miss my Dad so much, you know. His jokes sometimes can be corny but hey, my old man can make us all laugh. I would love to have one full day spent with him talking and listening to his advice. I would really want to hear his thoughts about some of the things that I would need his advice on. Probably I just want his reassurance that I am still doing the right thing. Sometimes I think back and regret all those missed opportunities to have a real talk with him when he was still alive. I should have spent a lot more time with him than trying to prioritize mundane things that would not be able to contribute anything in my life. But then I guess I have to move on from the guilt and regret and just remember all those things that he taught me. I know a few single moms out there as well who has this same dilemma. Their kids are asked to write a letter/make a card for their fathers this fathers’ day. But those kids are clueless on what to do because they don’t have Dads to speak of. And while I have already accepted the fact that my son will grow up with only one parent, I haven’t really given fathers’ day much thought. Will my son go through the same dilemma when he grows older? Thinking about it is quite heartbreaking. How do you explain to young children that they do not have a father? How do you explain it in such a way that they wouldn’t feel rejected by one parent? It is a very hard situation to be in and, to be honest, I am not yet ready for that time to come when my son starts asking. Z: Mum, do I have a Dad? Me: No, sweetheart, you don’t have one. That doesn’t sound like a good explanation, does it? LOL. Going back to being serious. 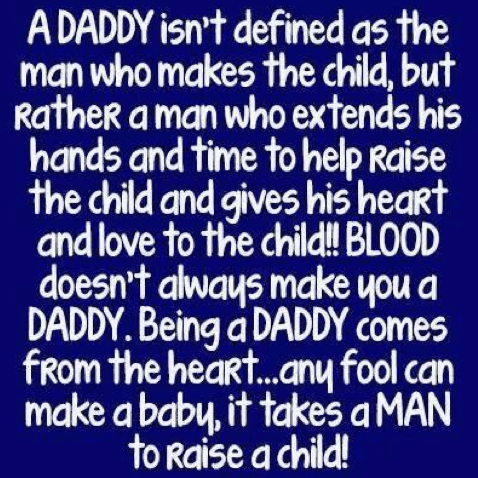 Fathers really do play a big part in the upbringing of kids, especially these times. I was lucky and blessed to have both parents present growing up. However, I do feel guilty for not being able to provide my son the same thing that I was able to experience. I hope that one day, my son will get to know someone whom he can look up to just as he would have had to a father. Anyway, I was scanning my Facebook newsfeed and came across this animated video. Fathers of children with special needs would be able to relate to this. This really made me tear up. Go hug your old man, greet him and treat him either for lunch or dinner or even just have coffee. Talk to your old man and tell him your thoughts. Listen to what he has to say. And cherish your time together. Because you don’t know when those moments will be gone. Mother’s Day Special – Thank You, Mama! You know what? I’m very sure that you’ll be surprised at how smart your child is once you tell him the truth about his dad. Importante is honesty and that you show that you shower your kid with love. Hugs! 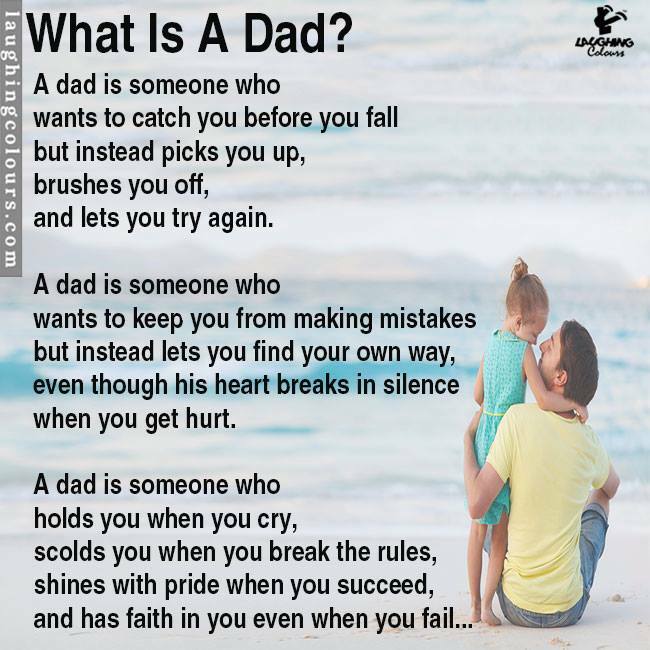 To be a father is easy but to be a dad takes effort. I really appreciate the fathers that love their family and put them first. Your son has a father – you! Happy father’s day to you and congratulations on raising your son well alone. I’m sure it was tough being both a father and a mother to him but I’m sure when he gets older, he will appreciate it more and more. It must be really sad when your father died too, I can’t even imagine how it would be when my own father dies. your post tugged at my heart. I am sure that our purposeful God has very special reason for this life season. Thanking you in continuing to be the best mom and dad you can be to your son. Honoring superb moms like you. I love this post. It’s really heart warming and I’m sure if your dad can read this (up in heaven), I know he will be touched as well. As for your son’s why questions, just tell him the truth and I’m pretty sure he’ll be able to understand. And he’ll appreciate you more than ever for being the best mom and dad for him. I pray that you may find the wisdom to be able to explain things to your son when the time comes. I love my dad! This post is so inspiring! You are both the father and the mother of your son, so he is not actually fatherless. Know, too, that despite having lost your biological dad, you still have a Heavenly Father who always looks after you and your son. Cheers! Awww, what a touching post. I really admire you for being both mom and a dad to your child. I’m sure the time will come and he will eventually have a dad deserving to be in your lives. Such as touching post. Makes me miss my dad, who’s in heaven watching over us for years already.